What is Bow and Twist? Why is the flatness of a printed circuit board important? Flatness is an aspect of the visual quality appearance of the boards. What are the acceptability criteria for bow and twist? 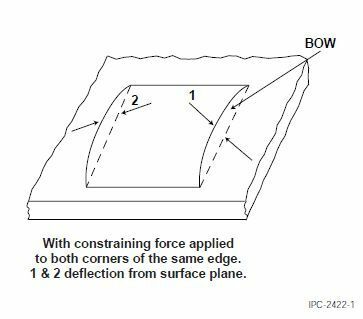 For boards using SMD components ( the majority of the boards) the bow and twist shall be 0.75% or less. How to measure the bow and twist? What can the PCB designer do to avoid bow and twist? Create a symmetrical copper distribution. As far as possible aim for an even copper distribution across each layer. For multilayers as far as possible arrange signal and plane layers symmetrically around the centre of the PCB. If there are areas of very low copper density and areas of high density or full copper it”s a good idea to add copper to the low density areas to balance out the copper distribution. Select a symmetrical build-up of cores, pre-pregs and copper thicknesses. 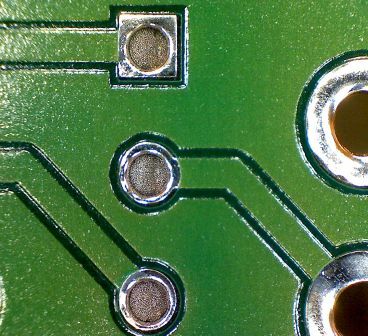 What can a PCB producer do to avoid bow and twist? What can an assembly house do to avoid bow and twist? Organise adequate support during the soldering process. Even if the pcb producer and assembly house take the necessary care to avoid bow and twist the deciding factor is the design of the board. We have been brainstorming at Eurocircuits recently to see if we can develop a tool for electronics designers to predict the risk of bow and twist. This could be in the form of an index or a visual tool in the same way as our latest plating simulation tool . Before we manufacture a PCB, we carefully analyse the data we receive to catch any potential production issues which may affect the quality and the long-term reliability of the finished product. Any issues we find are reported back to the customer for discussion and resolution. Until now galvanic plating is the one area where we have been unable to predict accurately how a particular design will perform. 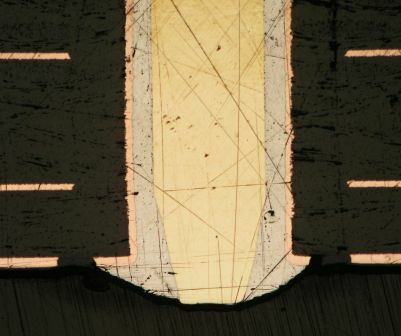 The thickness of the plated copper deposited on any part of the board depends on the layout density. If the density is low we risk over-plating; if the density is high we risk under-plating. Over-plating (too much plated copper) means that component holes may become too small. Under-plating (too little plated copper) may weaken the hole walls so that plated-through connections may crack during assembly and lose long-term reliability. The goal is an even copper density and even plating across the PCB. When we place PCBs on our production pooling panels we take this into account as far as we can. We can also place extra copper patterns between or around the PCBs to even out the density (so-called robber bars). However we can only go so far to achieve a uniform plating as we cannot modify the actual design of the PCB. This can only be done by the designer. Historically designers have had no tools to help them evaluate copper density. 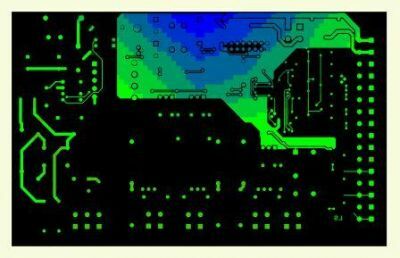 Today Eurocircuits can offer a solution, an image of the board colour-mapped to show potential areas of over- and under-plating. 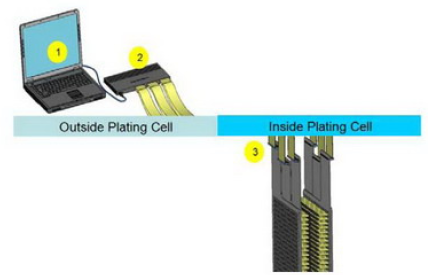 We use special plating simulation software which divides the board into small cells. The copper density in each cell is compared with the average for the whole board and the cell is assigned a colour. Lower than average copper density is coloured on a scale from green (average), through yellow and orange to red. The more red, the lower the relative density and the higher the risk of over-plating in those areas. Cells with a higher copper density are coloured on a scale from green to dark blue. The more blue, the greater the risk of under-plating. Armed with this visual data the designer can add copper areas where the density is low or reduce large plane areas . We will also provide a plating index which measures the uniformity of copper density on the board. A completely uniform board has an index of 1 which means that no plating problems are expected. Lower values show less uniformity, highlighted on the visual image by the red and blue areas. If the index falls to 0.4 or less, then special attention is required. In the example shown above the plating index is 0.30. The blue under-plated area is clearly visible. These new tools can provide guidance for a designer. We provide the plating image when a new order is placed. 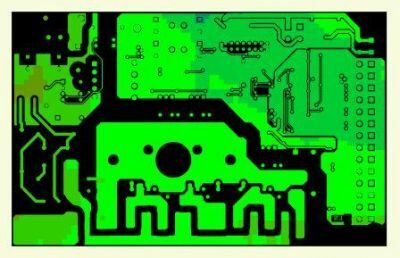 This plating image is part of the PCB image – a realistic representation of your PCB that we send out together with your order confirmation. In the near future this plating simulation will become part of the Place Inquiry function. We will run a full battery of manufacturability checks and produce a report. We will also produce the plating image, so that the designer can see if he can make any changes to improve the uniformity of the plating. After modifications the plating index is now 0.65. The picture shows a uniform plating. Of course, there may be design constraints which make a less uniform copper density unavoidable. 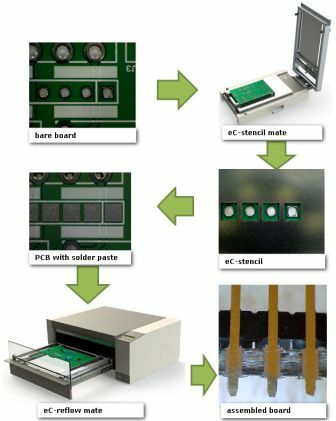 Here we are rolling out a further solution to enhance the quality and reliability of the finished PCB. The Elsyca Intellitool Matrix plating project will further enhance the uniformity of the final plating. 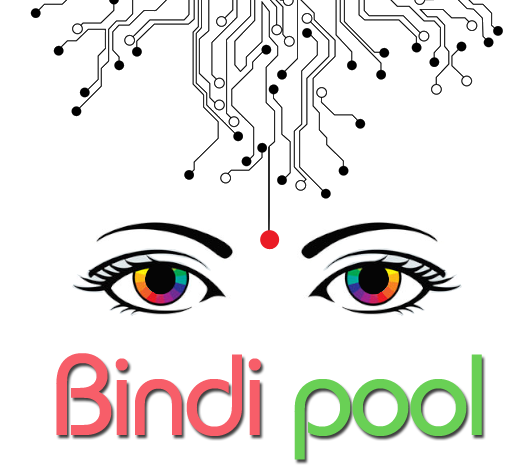 https://www.eurocircuits.com/wp-content/uploads/blog/BINDI-pool---Eurocircuits'-Asian-alternative---spot-on-for-you!/bindi-small.jpg 210 210 Dirk Stans http://www.eurocircuits.com/wp-content/uploads/2016/07/eurocircuits.png Dirk Stans2012-01-17 00:00:002018-05-14 16:21:00BINDI pool - Eurocircuits' Asian alternative - spot on for you! Started as Europrint, right from the beginning, we were active in the market of prototypes and small series. Our goal was to serve our customers with any wish they had: “You name it, we make it”. This requires a rather costly organization and does not leave room for optimization in the business process or in the production process. The constant decay of PCB prices and the declining appreciation for service “old style” went hand in hand and were accelerated by the disappearance of the layout and board specialist at the customers’ organization. With the disappearance of specialization, the prices collapsed over the years. Leaving a high cost of service for a lower price to kill the margins and finally leading to a loss and the inevitable end. To achieve this one needs many orders to combine. And these orders need to fit in a predefined standard technology in order to make pooling possible. Selling this to the market required two things: An online communication tool with calculation and order capabilities and a price so attractive that a customer forgets his special wishes. It worked. In about 5 years most of our traditional market was converted – or lost – but the new emerging market was already bigger than the old one. In recent years we invested a lot to extend our services aiming for the widest pooling offer in Europe. It is now imperative to stay ahead of competition and offer extra convenience and added value around our services without increasing the cost too much. That way we glue the market to us and can harvest on the result as costs will stay under control. Most of these new emerging products and services will lie in the field of software tools and eC-assembly-tools that help the customer to practically materialize his design. PIP is a technology for assembling through hole components using a conventional reflow soldering process. 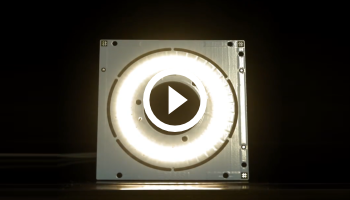 The process is also known as THTR (Through Hole Technology Reflow). 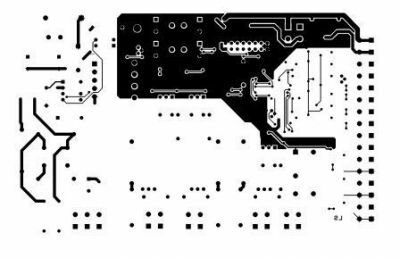 Most PCB”s that contain SMD components usually also contain some through hole components, such as connectors, switches, capacitors and so on . The principle of PIP is that through hole components are placed into PTH holes with SMT solder past and then reflow soldered with the other SMT components together. We judge this can be a technology of interest for electronics developers that decide to assemble their prototypes themselves. Important parameters for this process are hole and pin sizes, boards thickness, thickness and opening of the stencil , used paste printing technique and used paste. It is obvious that only components that can withstand the reflow soldering temperatures can be soldered this way. Most datasheets for PIP connectors also contain useful information such as the recommended stencil design. Increase the size of stencil apertures to overlap on the area around the PTH hole (overprint) – when the solder paste melts, it will flow into the holes. You can spare one step in the assembly process, this reduces cost as well as time. All components are processed within one SMT solder process. Connectors suitable for PIP generally require less board space, and are easier to repair then SMT connectors. The Pin in Paste technology is very useful, because you can save time and manpower. 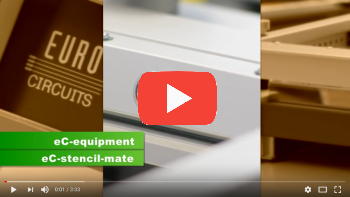 We think this technology makes it easier for electronics developers to assemble prototypes in-house in a reliable, quick and affordable way. 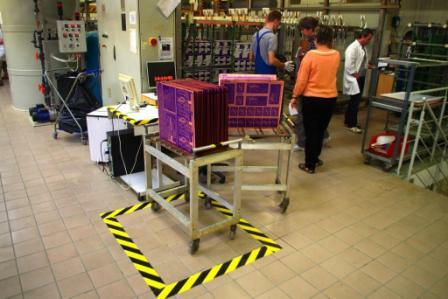 Making efficient pooling panels belongs to the core business of Eurocircuits. It is a necessity to ensure cost-effective production of prototypes or small batches. The idea of making pooling panels was not new in 1993. On the Benelux market a dutch company was already successfully offering single sided boards in pooling since the eighties of the last century. For double sided boards however it was not that common yet. When we introduced combination panels for double sided boards in our own production in Hungary there was a lot of resistance from the operators and from the production management. They saw the complexity of their job increase, and technological challenges had to be taken care of. Now, almost 20 years later, most technology issues have been taken care of, except for one major area, the galvanic copper plating. For this galvanic process, the design of the PCB plays a vital role in the outcome of the process. In pooling panels there is even an influence of the design of one board on the copper deposition on surrounding designs. That means that we have to be very careful how to build our panel layouts. Focus on efficiency and accept uneven copper distribution. Also accept that the quality of the PCB”s produced for one customer can be influenced by the design of another pcb on the same pooling panel. Focus on quality – stick to an even distribution and minimum copper plating thickness all over the panel. 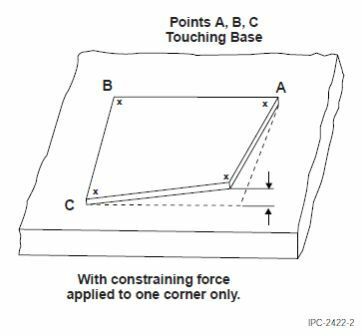 Accept that part of the panel surface gets lost because of extra copper areas and spacing introduced to balance out the galvanic layer. Also accept that not all jobs can be pooled with acceptable plating results. Eurocircuits decided not to take any plating quality risks. We accepted the restrictions dictated by the plating process for a long time.The Elsyca Intellitool matrix copper plating is going to remove these restrictions. Elsyca Intellitool is a software controlled electroplating tooling concept developed by Elsyca. It reduces the pattern dependence of the deposited layer of copper on the boards. The main change from a standard plating cell is the introduction of a controllable grid ( matrix) of anode segments, at a small distance of the board to be plated. 1.A simulation and optimisation tool which is a further development of Elsyca Smartplate, a software we use at Eurocircuits to simulate the plating process and to decide if a pooling panel is fit for production or not. The simulation tool optimizes the current on each anode segment in time to yield the desired plating thickness and uniformity on the board. The simulations counts with parameters like properties of the plating tank, design of the pcb, resisitivity of the substrate. The result of the optimization is sent to the control unit to feed the matrix. 2.The matrix feeder contains a microprocessor that reads the calculated pattern of the current, and controls a matrix of digital to anode converters (DACs). This imposes the correct current on each anode segment ( pin). An amplification of the current can be implemented. 3.The anode matrix, mounted on a printed circuit board. 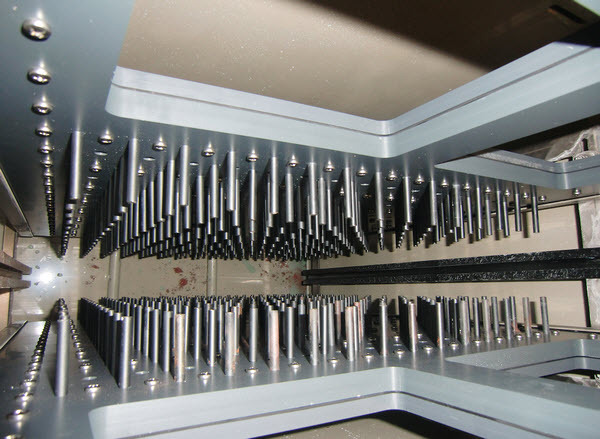 Each anode pin is connected to the matrix feeder. Elsyca Intellitool is organising the anodes as a matrix with the same size as the panel to be plated, and every point in the matrix can plate with a different current. All individual currents can be controlled in time and intensity.This way the current density is not spread evenly over the panel, but is adjusted to the differences in copper distribution in the pcb design. This can be useful to balance differences in copper distribution within a single board, but gets even more interesting when there are different designs combined on one panel ( pooling-panel). 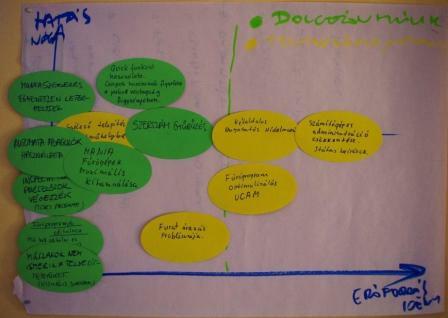 Elsyca Intellitool – in practice. Eurocircuits is using the software from Elsyca to simulate plating (Smartplate) and judge the plating feasabilty of its pooling panels. 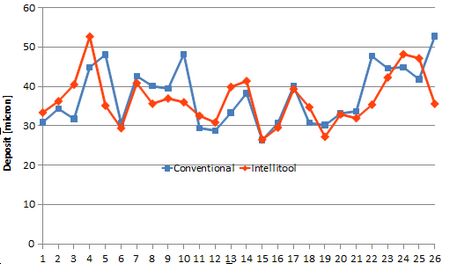 Intellitool is going to take us a step further. We are not going to use the software just for making a judgment. The results of the simulations will be used to control the plating process by instructing each of the anodes in the matrix on the current to be used and the time to be plated. The Elsyca Smartplate CAM output is sent directly from our UCAM Cam system to the plating line to control the process. Operator influence on the process will be eliminated. Our plating process will be integrated in our production processes in a similar way as is now the case for CNC machines, test equipment, etc. To test the concept Elsyca made a labo plating setup. 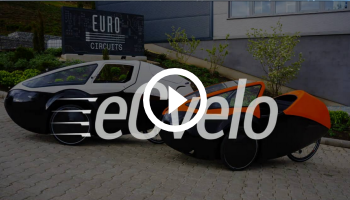 Eurocircuits and Elsyca are testing the Elsyca Intellitool concept in a purpose built galvanic cell in our production site Eurocircuits Aachen Gmbh in Baesweiler, Germany. The galvanic cell is built to treat one standard size Eurocircuits pooling panel ( 530 x 460 mm ) The PCB pattern on the pooling panel will vary from one production run to another. 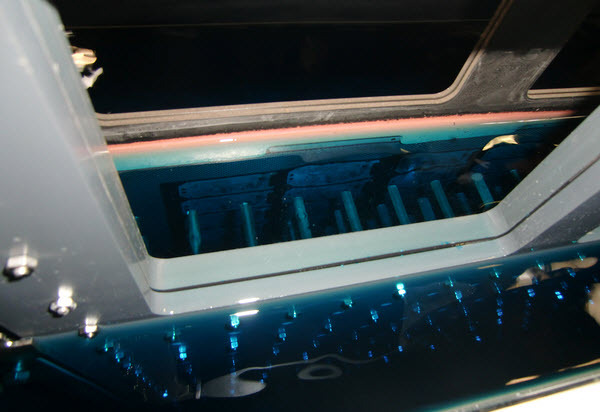 The tank is filled with MacDermid specialised chemicals for electroplating printed circuit boards, and the Eurocircuits pooling panel is precisely positioned between the two anode arrays. On November 17 tests with production panels taken out of regular production batches in Eurocircuits Aachen were plated in both our conventional plating line and in the Intellitool testcell. The use of Elsyca Intellitool reduces the plating time with more than 40% while maintaining the same plating spread. More tests are planned to further optimize the Elsyca Intellitool product. 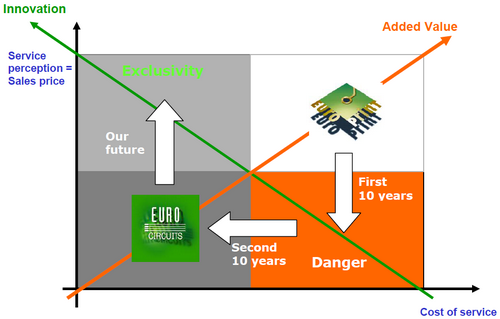 As a lead customer this will be performed in close collaboration between Elsyca and Eurocircuits. By the end of February 2012 we will build a new galvanic line in our production unit in Eger, Hungary to test the Elsyca Intellitool in an automated production line. Our main target is reducing waste (time is a major waste) in the production and better (faster) serve our customers. We first needed to learn to see the real nature of our production processes. We learn to look through “lean glasses” to recognise the biggest waste items in our process. Waste can be waiting times between different processes, or stability problems in the process that create flow breakdowns. 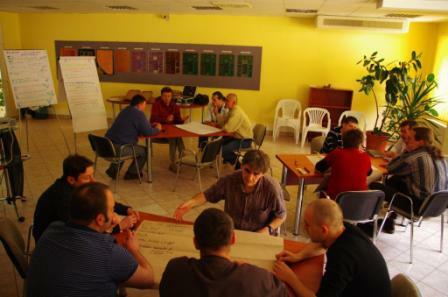 We formed a brainstorming team with colleagues from all areas in the company. The purpose of the sessions is to identify these areas in our process where we find important waste that can be cleared rather fast. 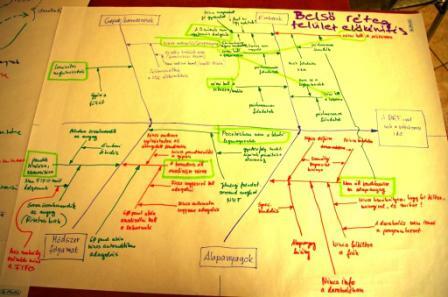 We use Ishikawa root cause analysis for this. Four project teams are established. Every team got members from different areas to be able to look at the problem from different angles. Following the results of the root cause analysis we have set priorities. The priorities are decided based on resources needed to make a change and what effect the change can cause. When we have waves in our production this creates “traffic jams”. These jams are the main reason for delay. The best way to guarantee on-time delivery is by creating a smooth production flow. For that we need stable processes, a well balanced capacity distribution throughout the process, and skilled operators. 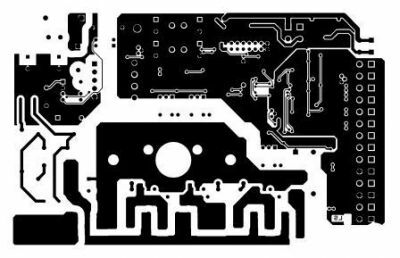 PCB production is a complicated process with a lot of different steps. Each order can be following a slightly different flow as different options are chosen. That makes is challenging to create a smooth flow. Most energy is spend in organizing the “human factor” – monitoring and motivating operators to think and act lean. Training is organised continually, and we try to involve people from all levels and all departments in the project. Existing KPI”s in the organisation are evaluated for their usefulness and following new KPI”s are introduced because we think they can inform us about our progress in this lean project. 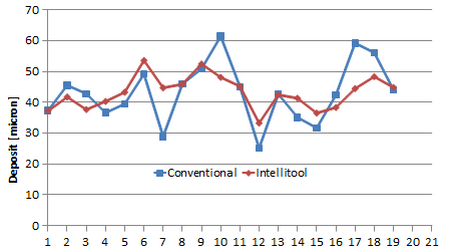 KPI for measuring the efficiency in the drilling department. Beginning of October 2011 we started experimenting with a FIFO based system for setting priorities in each step of the production from the Blackhole PTH till the Soldermask curing step. As the first results are good we are now organizing to extend the reach of this FIFO method to the whole process of double sided production. We decreased and started to control the inventory of panels in production. Inventory is allowed only in clearly defined locations and up to a defined maximum number of panels. 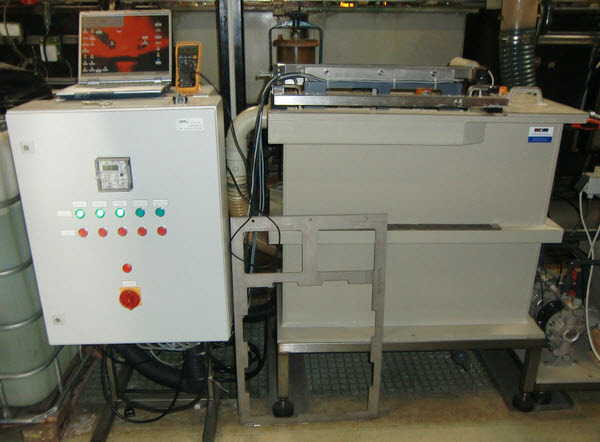 We produce in smaller lots based on the capacity of our bottleneck, the galvanic line. Jobs are started only for production when there is capacity available. As we are gaining more experience in the lean project, our confidence is growing that we can further increase efficiency and reliability. 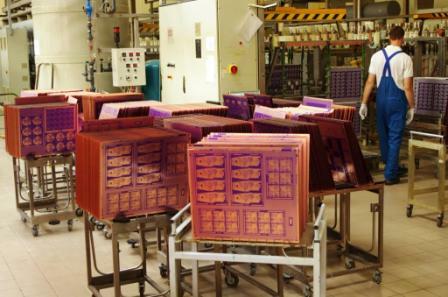 The knowledge built in the factory in Eger, Hungary will be useful when we start a new production unit in Gandhinagar India in 2012 to serve the Asian market with prototype pcb”s.